Courtesy of Doyle C Bryant, Coldwell Banker Residential Brokerage Chambersburg. This Beautiful home has everything but YOU! 5 bedrooms, (including 2 Master bedrooms; one could be in-law suite! ), 3 full bathrooms, 2 half baths, 2 decks for enjoying the mountain views, attached 2 car garage, and all at the end of a quiet cul-de-sac in Meadow Green Estates; 3 zone heat and AC; close to Hamilton Heights elementary school ; out of town, but close to shopping. Call today for your private tour! 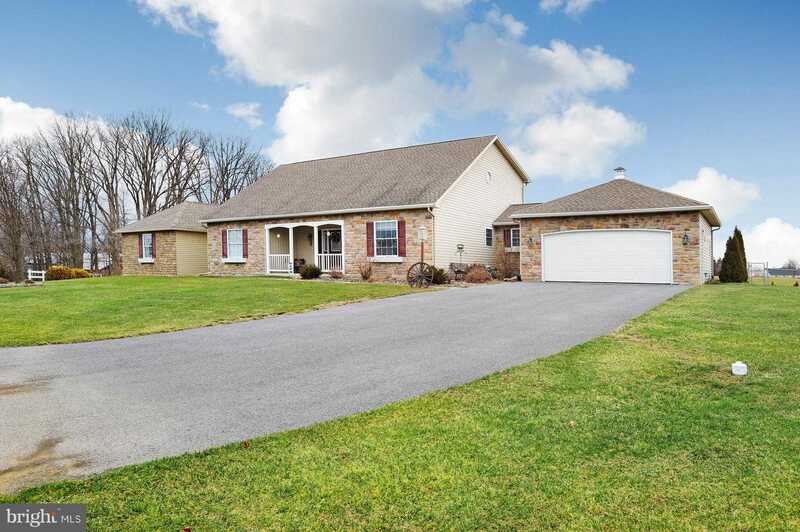 Please, send me more information on this property: MLS# PAFL100558 – $299,900 – 1042 Blueberry Lane, Chambersburg, PA 17202. I would like to schedule a private showing for this property: MLS# PAFL100558 – $299,900 – 1042 Blueberry Lane, Chambersburg, PA 17202.